Here’s your chance to show off your sweet moves, AND learn more from a real-life professional dancer with our Breakdancing party package! This package is perfect for kids who are a little bit older (over six years), but still love to dance and perform! 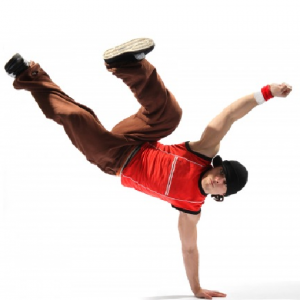 Perfect for an all-boys dance party, your young guests will have a blast with a special Breakdancing party! With fun dance routines, catchy music and lots of great activities, and the opportunity to be inspired by and learn from a trained professional dancer!